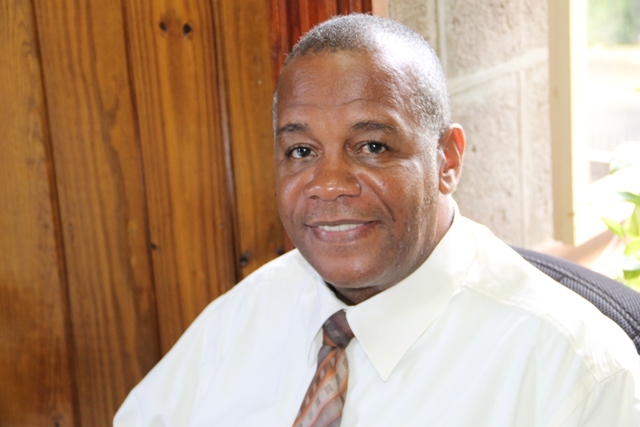 NIA CHARLESTOWN NEVIS (July 15, 2016) — Permanent Secretary in the Ministry of Agriculture Eric Evelyn will serve another two-year term after he was re-elected, unopposed, as Technical Secretary of the Caribbean Plant Health Directors (CPHD) Forum. The election was held at the organisation’s 9th annual meeting in Port of Spain, Trinidad, from July 04-07, 2016. Brian Crichlow of the Cayman Islands was re-elected as the Chair while Ryan Anslem of Dominica is the Co-Chair. Evelyn was first elected as the organization’s Technical Secretary in 2012 in the British Virgin Islands and was re-elected in 2014 in the Cayman Islands. Evelyn also serves as the Chair of the Communications Technical Working Group of the CPHD Forum which was established at a meeting earlier this year in St. Maarten. During the Trinidad meeting, Evelyn was recognized for his invaluable service to the Caribbean Plant Health Directors Forum. He was presented with the Greater Caribbean Regional Plant Pest Safeguarding Award. The award is presented annually by the United States Department of Agriculture (USDA), in recognition of initiatives and innovations that make significant contributions to further the goal of safeguarding the region’s agriculture and plant resources. Dennis Martin, of the United States Department of Agriculture, said Evelyn was selected to receive the award for his outstanding service as the Technical Secretary of the Caribbean Plant Health Directors Forum, as well as his efforts as the Chair of the Communications Technical Working Group. The Greater Caribbean Safeguarding Initiative (GCSI), recognizes a group or an individual who, that among other things, demonstrates consistent leadership within the region towards improving regional safeguarding goals and consistently promotes information sharing throughout the region in the form of new pest information or alerts.